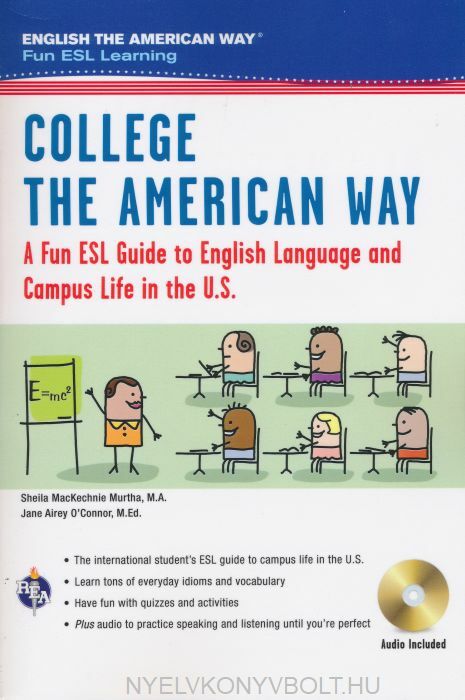 Nyelvkönyvek Országismeret College the American Way - A Fun ESL Guide to English Language and Campus Life in the U.S.
College the American Way answers the who? what? where? why? and how? questions about college life in the U.S. Learn who can help, what to do, where to go, why to check out housing and meal plans, and how to . . . HAVE FUN! Each easy-to-read part is fullof vocabulary, informal language, idioms, phrasal verbs, dialogues, and activities. 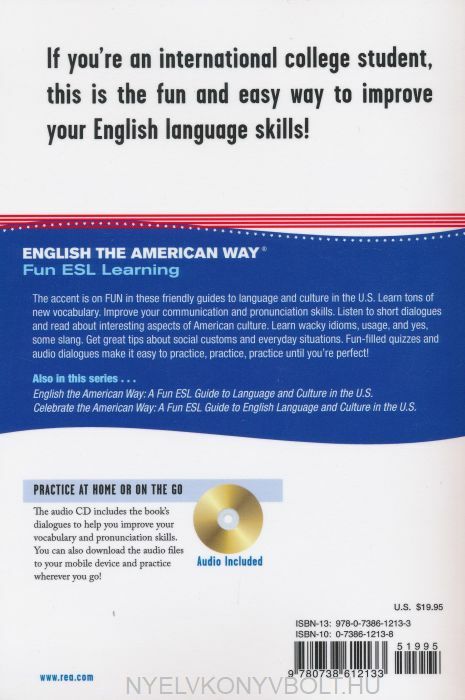 Our audio lets you practice speaking English like an American until you're perfect! Improve your listening and speaking skills with the sample dialogues included on our audio CD. You can also download the MP3 files to your mobile device and practice wherever you go. Whether you want to improve your understanding of campus life, or just expand your everyday vocabulary, this fun and friendly guide will help you buildyour skills and communicate with precision - and success!